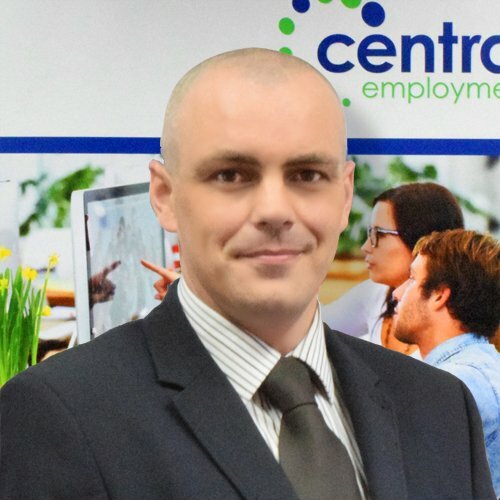 Mark joined Central Employment in 2004 as an office rescourcer before being given his opportunity as a consultant. After almost 10 years as a consultant Mark had established himself as one of the company’s most successful consultants with a reputation built on high standards and excellent candidate and client relationships. More recently Mark has been involved in business development before recently joining the Central Employment board as a director. He has a genuine passion for recruitment & takes pride in the level of service he provides. Mark is highly organised with OCD tendencies who sets himself and the team high standards and is a big believer in leading by example. Mark oversees all of the internal staff training and development of the team to ensure that the company achieves its mission and objectives. Mark enjoys playing poker & had a fairly successful spell between 2009/10 when he played semi professionally after being awarded a sponsored package by UK bookmaker Coral. He still plays from time to time but his main focus is his wife & two children. For obvious reasons Las Vegas is his preferred holiday location.